When you work in a shop, you have to keep an eye out for thieving little tinkers. Except normally you’d expect it to be a schoolkid, not a bird. 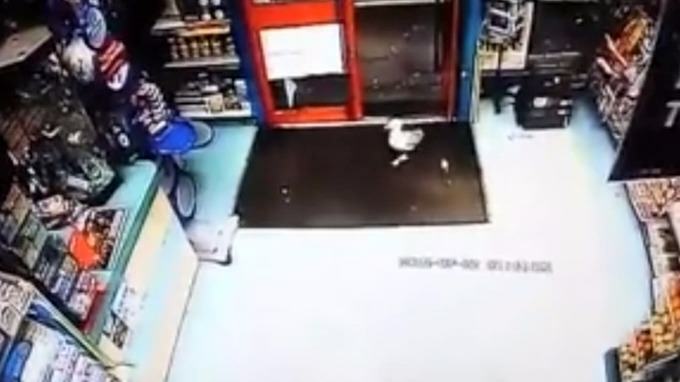 Shop owner Zaman Iqbal posted this funny video online of a seagull wandering around his store before he chased it out. The bird then returned, and he caught it on CCTV, as it took a pack of KP nuts off the display. We get seagulls quite often trying to come into the store, but we try to scare them away and keep them out.